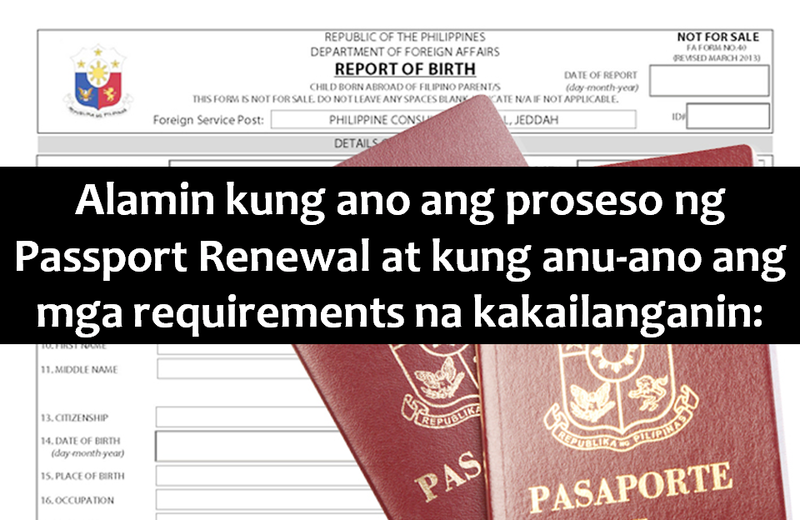 Want to renew your Philippine passport? Here are the procedures and the requirements that you need to make ready. 2. Confirmed appointment. Schedule your appointment here. It is advisable NOT to purchase outbound travel tickets until your passports are actually in your possession. The Department of Foreign Affairs will not be responsible for any rebooking charges, loss of income, and other financial compensation and/or personal losses arising from the applicant's travel arrangements made while the passport has not been released. 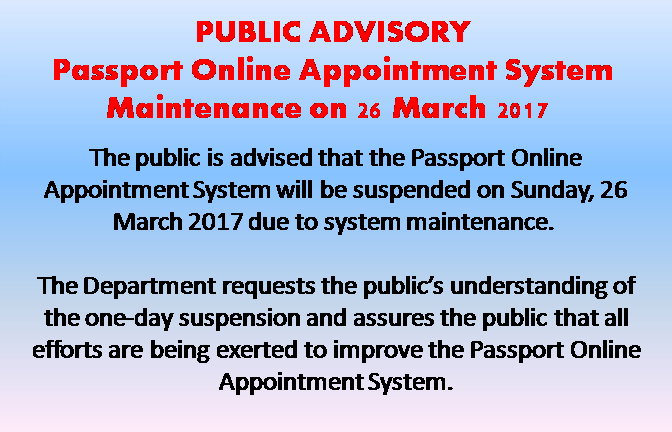 Welcome to the Online Passport Application and Appointment System of the DFA Office of Consular Affairs. Enjoy the convenience of prioritized application processing by booking a slot for your passport application in any of the DFA's participating Regional Consular Offices, Satellite Offices, or Philippine Embassy/Consulate abroad. This new online-appointment system is currently being offered only for applications intended for selected Regional Consular Offices in the Philippines, DFA Manila (Aseana) and Satellite Offices within Metro Manila (Ali Mall, SM Manila, SM Megamall, Alabang Town Center and Robinsons Novaliches). Please be advised that only Gmail or Yahoo! accounts are able to receive email confirmation at the moment. A PDF reader and a working printer to view and print the system-generated the application form in A4-size paper. 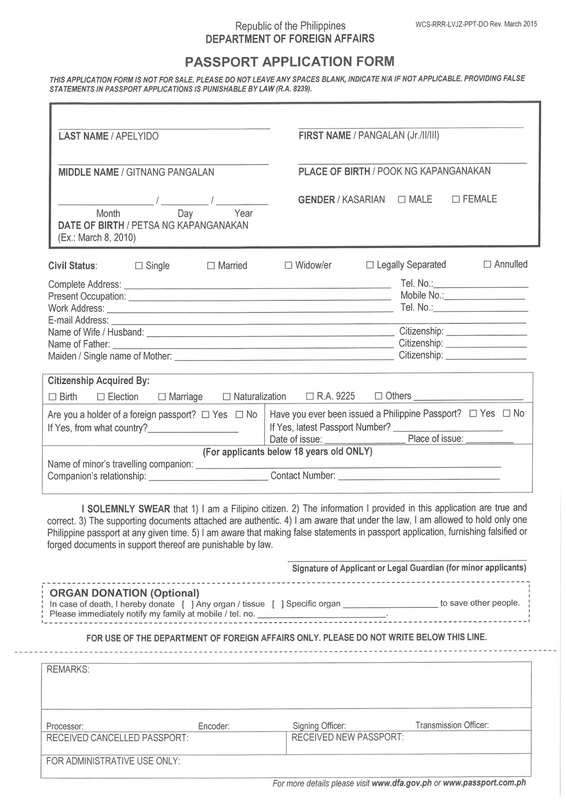 The use of this online passport application system with scheduling and appointment is for the convenience of Philippine citizens residing locally or abroad seeking to apply for a passport for the first time or intending to renew the most recently issued booklet in his/her possession. 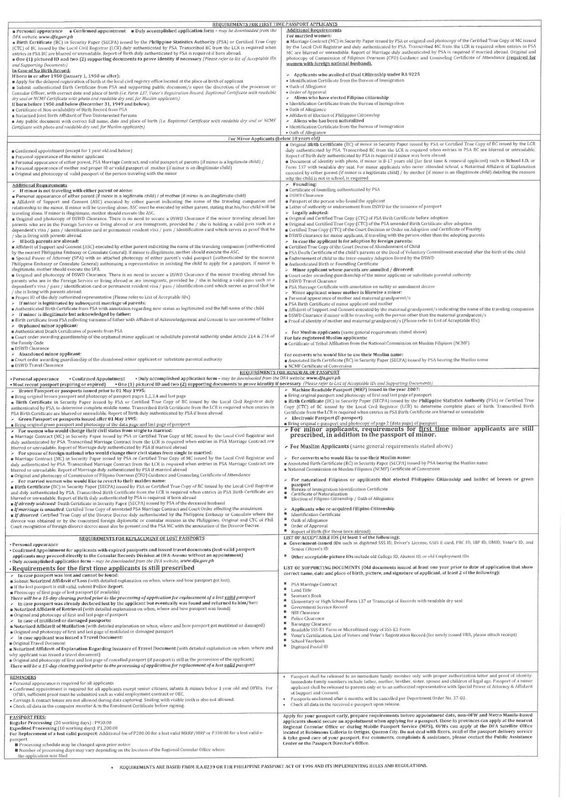 Applications for replacement of a lost passport, passports with mutilation (defaced, torn pages, and other physical alterations, etc. ), and passports issued with discrepancies in the personal details of the holder and other similar cases are categorized as irregular applications requiring special assessment and evaluation. These kinds of applications can be accommodated but will take considerable time to process as careful evaluation and determination of the applicant's current citizenship, identity and personal particulars will have to be undertaken with reference to existing government records. The various regional consular offices, satellite offices of the Department of Foreign Affairs, including consulates and embassies abroad function only as biometric data capturing sites for passport applications. The production and printing of all Philippine passports is done in the Philippines. 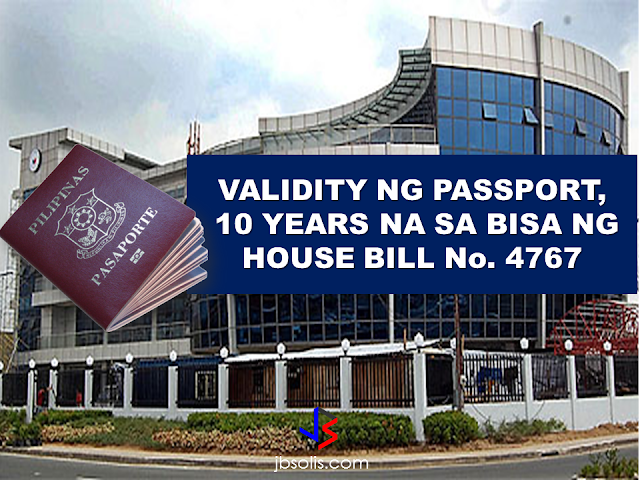 All applications are subjected to records confirmation and biometric data verification to preserve the integrity of the Philippine passport and protect the citizen from fraud and identity theft. For domestic applications which pass the requisite records check and biometric verification, passports should be ready for release after twenty (20) work days from the date of payment. For applications lodged abroad and cleared by the system, kindly allow for at least thirty (30) work days for passport production and release on account of international shipping and transportation logistics. Please understand that force majeure, transport strikes, and similar unforeseen circumstances beyond our control may cause delays in the normal cycle of delivery and production. 4. Valid picture IDs and supporting documents to prove identity. Check the list here . Express processing payment is P1200 for 10 working days. 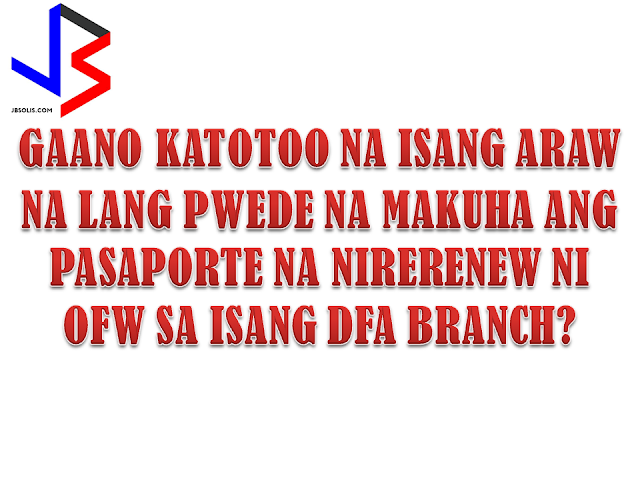 Normal processing fee is P950 for 20 working days at the MANILA and POEA branches. Please take note that there is an additional fee of P200.00 for a lost valid MRRP / MRP or P350.00 for a lost valid e-passport. Presidential Communications Secretary Martin Andanar announces the printing of new passports starting August 15. The new passports have an improved design that features the regions of the country and an upgraded microchip security feature to capture the personal data of the applicant, invisible UV fluorescent ink and thread, and elaborate design when subject to UV light. The APO Production Unit is tasked to produce the Philippine passports, and is a government owned and controlled corporation under the Presidential Communications Office.The new passport that contains "intaglio printing" most commonly used in printing money or currency so it will not be faked and the "printing of the coat of arms using optical variable illusion ink where color varies at different angle” can now be claimed by applicants for only 5 days. 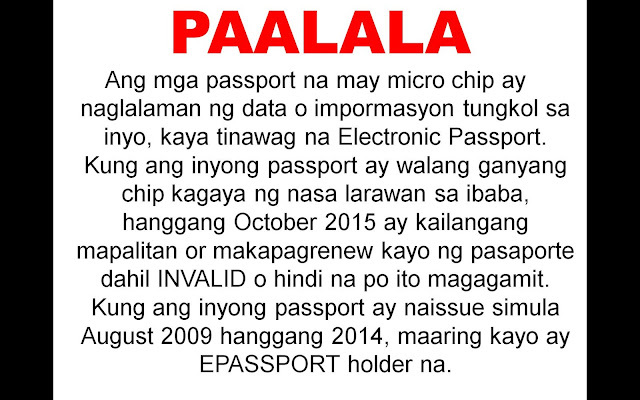 "All Philippine passports are now integrated with chips that contain the data of the holder. These new passports are called ePassports. The ePassport is a global standard in travel documents, and as a member of International Civil Aviation Organization (ICAO), the Philippines is required to adhere to their standards. House Bill No. 4767, is a measure seeks to amend Republic Act No. 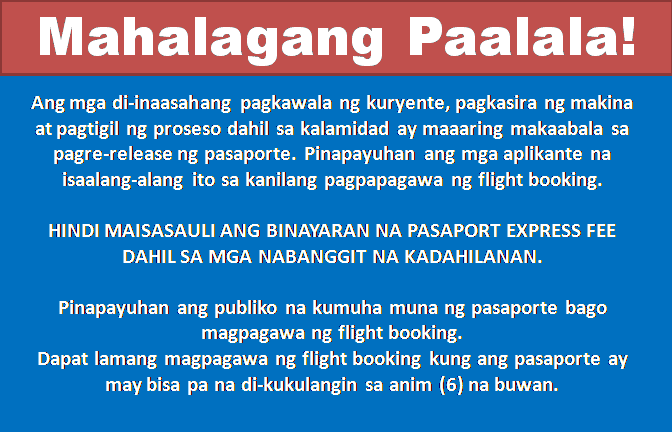 8239, or the “Philippine Passport Law,” which currently states that a passport is valid for a period of five years, regardless of the age of the applicant.Under the bill, the validity will be extended to 10 years for adults, or those 18 years old and above.It states, however, that the issuing authority "may limit" the period of validity to less than 10 years in the case of minors, or "whenever the national economic interest or political stability of the country" makes it necessary.The bill will be transmitted to Senate for concurrence.One of the principal authors of the new passport bill is former president and Pampanga Rep. Gloria Macapagal-Arroyo, who now sits as a deputy speaker.